These are just a few of the questions that non-profit board members consistently ask the marketing and development departments. 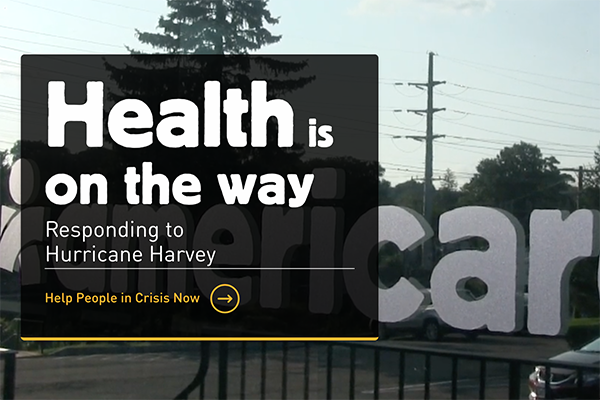 Non-profit marketing poses a unique set of challenges. Resources are scarce and marketers are expected to make miracles happen on a shoestring budget. Compared to a for-profit company, the value of marketing can be difficult to demonstrate clearly to a non-profit organization and its leadership team. While page views, click-through, and conversion rates are basic metrics to evaluate the success of a transaction-oriented ecommerce business, measuring the success of a non-profit’s digital marketing isn’t as straightforward. Sure, you have brand awareness, volunteer numbers, and financial donations, but the real impact of non-profit marketing is much longer-term. 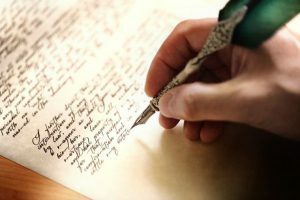 The efficacy of your non-profit marketing depends on your ability to make your brand story part of your audience’s everyday life. And, the best way to accomplish this is to tell a compelling story that your audience can make their own, where they can envision themselves as the “hero” of the story. Simply getting in front of your audience and grabbing their attention isn’t enough anymore. 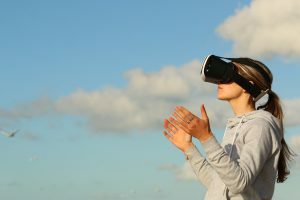 Paid advertising is costly and often ignored, and traditional outbound campaigns fail to deliver the level of personalization expected by today’s connected consumers. Your goal as a non-profit brand is to build a life-long relationship with your supporters and the constituents that you serve — from the first time they interact with you to their first donation, and ultimately, to serving as an advocate for your brand. One of the most efficient ways for a non-profit to share the brand story and to engage with its audience is through inbound marketing. Inbound marketing takes a more organic, non-invasive approach to marketing, and the results lead to stronger, long-term customer relationships with a much lower price tag. 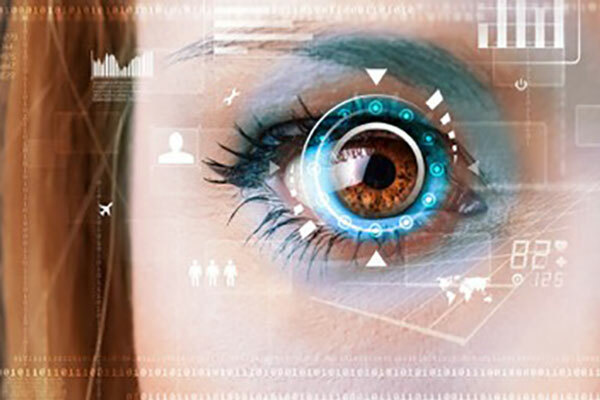 It employs the development of strategic assets such as blogs, videos, eBooks, whitepapers and many others, to share relevant content with its target audience. By telling your brand story in a compelling and engaging way, and delivering it in a personalized manner to the right person at the right time, you can transform your organization’s marketing efforts and consistently generate ROI. 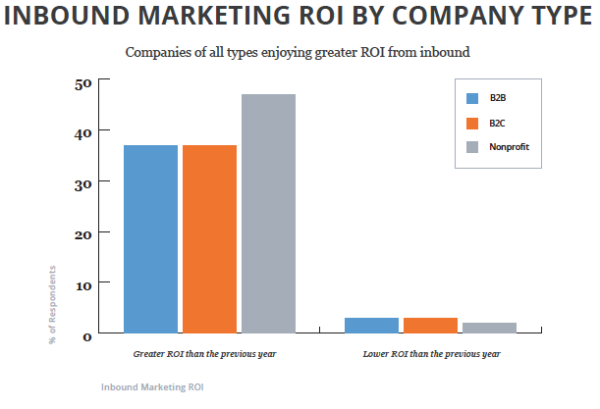 Year-over-year studies continue to show that inbound marketing generates higher ROI than any other channel, especially for non-profit organizations. According to the Direct Marketing Association, inbound marketing has an ROI of 3800 percent. By comparison, Chief Marketer recently reported that the average ROI of an email campaign is 28.5 percent and traditional direct mail comes in at 7 percent. Your story is at the core of everything that you do as a non-profit. It’s the reason people donate, participate, and, most importantly, care about your organization. It is your responsibility to deliver a consistent message that accurately tells your “why” – why you do what you do, what you do to accomplish that why, and how that why relates to your audience’s personal or professional lives. Think: What does your donor or participant think of your organization? Feel: How does that donor or participant feel about your organization? Act: How do you want your participant or donor to act – before they learn about your why, after the first donation, and on an ongoing basis? The core of how you want your audience to think, feel, and act is found in your non-profit’s six-second story. This story should guide the messaging of all content you produce. If it does not align to your story, your strategy, or your systems, don’t waste the resources. Defining your audience by “Constituent Personas”, also referred to as buyer personas, is the best way to get into the mind of those best suited to donate and engage with your cause. By defining your “Constituent Personas”, you’ll be able to have a deep understanding of your target audience each persona in such a way that you know the right time, the right place, and the right message to reach and engage donors and participants. When defining these personas, it is possible that you will discover one of your current segments is not receiving the proper messaging, or that you’re targeting the wrong segment altogether. Once you have aligned your brand story and your personas, it is time to identify your constituent’s journey, or as TopRight calls it, the “Customer BuyWay”. This involves breaking down the journey that your audience will take as it engages with your brand. 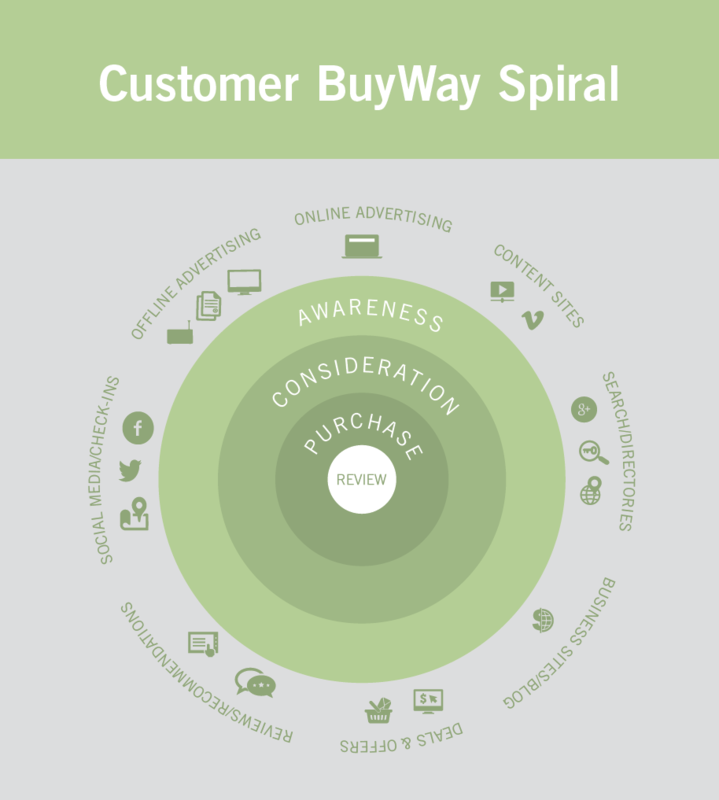 The “Customer BuyWay” can be broken down into several phases starting from the moment that someone learns about your cause to after a donation, decision, or commitment point where they become an advocate for your organization. Once you have defined the persona’s journey along the “Customer BuyWay”, you must map the appropriate messaging to each touchpoint. Start by performing an in-depth audit of your current content. It’s essential for you to understand what pieces of existing content you have, which persona they are best suited for, and where they fit in their journey. Content Type: What type of content is it? Some types of content will be better fit for certain stages. It’s important to remember: You’re not sealing the deal with a blog post. Desired Audience Behavior/Reaction: What is your best guess at your persona’s behavior when they come across this piece of content? Consider your persona’s journey for a more accurate guess. Intent of the Content: What is the intent of the content? How does this relate to the buyer journey? Is it meant to attract someone to an event? If so, it’s probably not meant for an early stage when someone may not even know about your cause. This classification process is likely to reveal content gaps in certain areas of the journey. You must prioritize and if they represent critical gaps in the journey, then dedicate resources to develop new content to fill those gaps. Successful inbound marketing isn’t just “set it and forget it”. It’s important that you tweak and make necessary adjustments along the way. Your team needs to be agile and highly responsive. You can’t afford to sit back and hope for the best once you start to nurture your personas throughout their journey. It’s important to approach the various aspects of inbound marketing like an experiment. Each piece of content, each persona, and each phase of the “Customer BuyWay” journey begins as a set of hypotheses. If a hypothesis is disproven, you must adjust quickly to keep your marketing and messaging on course. Test your content, learn from it, and optimize as you go. If you have a persona that isn’t producing the desired results, it’s time to review your journey, your content, and the persona profile. Are they still a viable target? 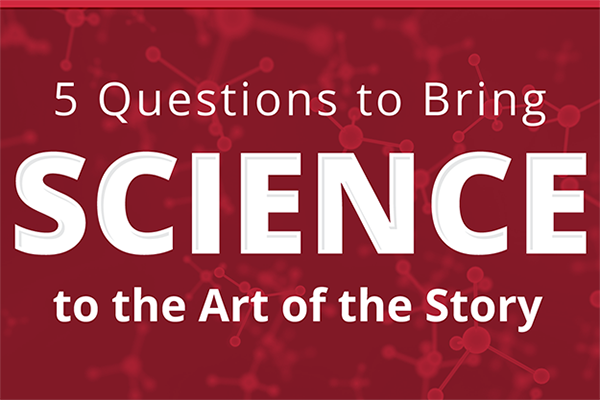 Is your messaging aligned with your brand story? Is that story being delivered to the right person, at the right time, in the right channel? By definition, inbound methodology is focused on building relationships to generate and sustain long-term results. It’s important to understand that inbound takes time. You wouldn’t start building a house without laying a foundation; nor does a foundation provide the benefits of a fully built home. It’s common to feel frustrated in the early days as inbound efforts may not outperform in the short-term the same way as an outbound strategy. Learning the ins-and-outs of inbound marketing may test your patience. Inbound marketing works especially well for non-profits when they have a simple story, a clear strategy, and aligned systems. 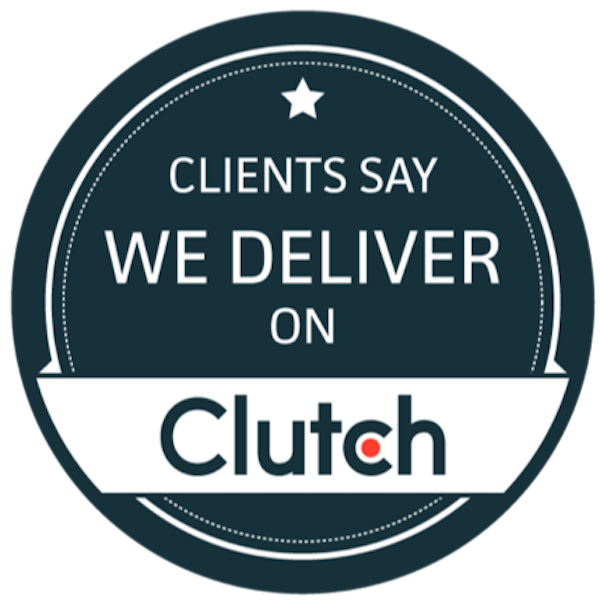 Inbound enables you to find the right people for your cause, and consistently pull them towards your cause with compelling, meaningful messaging that reaches them at the right time and drives real, transformational results. 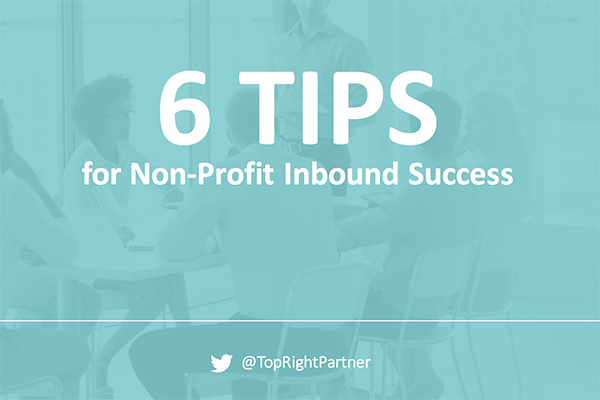 While inbound is a highly effective strategy for non-profits, it is only as strong as the story you tell, the strategy you employ to reach your audience and the systems you use to execute your strategy. You have to bring a simple, clear, and aligned story to every touchpoint with every donor and participant. Inbound is how you get that story to those who want to interact with your organization. 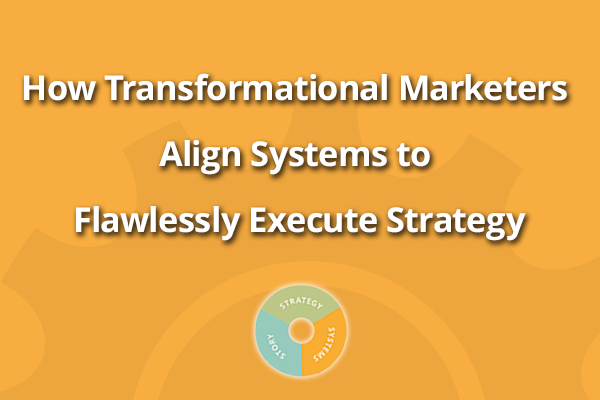 Your systems are the people, processes, and technology that you use to bring that strategy to life. 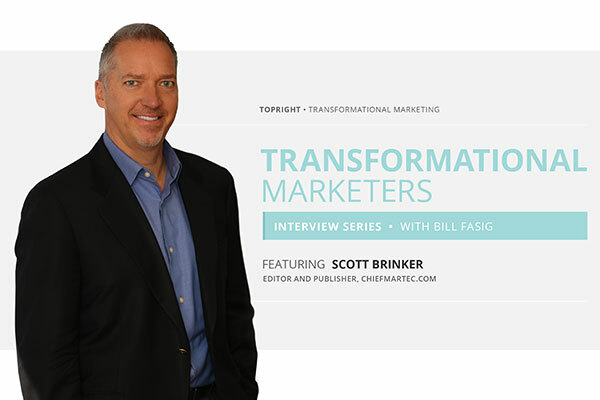 Learn more about how you can bring simplicity, clarity, and alignment to your brand’s Story, Strategy, and Systems in our latest eBook Transformational Marketing: Moving to the TopRight. Learn how to Strike the Right Balance Between Nonprofit Marketing and Fundraising Teams in our downloadable guide.